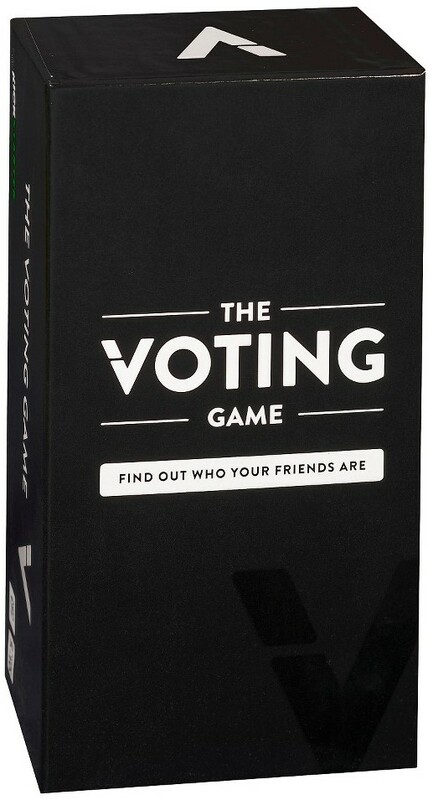 The Voting Game is a party game that uncovers the hilarious truth behind your friendships! 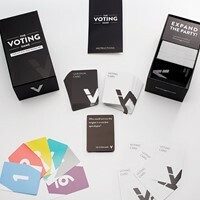 Play begins when the first question card is revealed, e.g., Who regularly orders delivery from less than 5 blocks away? Players then vote anonymously for the player that is best described by the question. Results are tallied and revealed to the group. 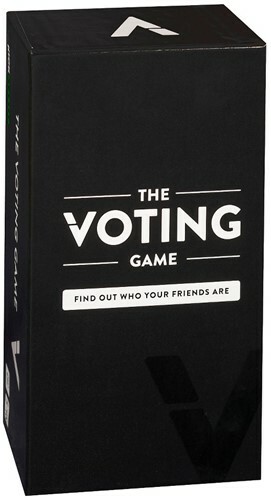 Each player then guesses who voted for him or her. Players get one guess for every vote they received. If they guess correctly, the truth is revealed. - Who would lose an election because of something they did in high school? - Whose Google search history would you most like to see? - Who would survive the longest in a zombie apocalypse?